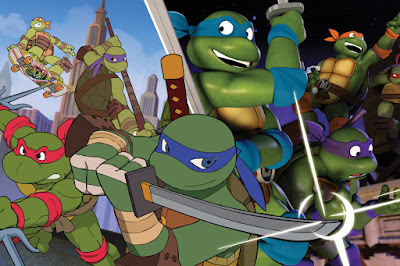 TMNT 2012, Episode 4.10 "Trans-Dimensional Turtles"
It's finally here! The crossover-event that spans two generations of Turtles airs this Sunday! Need something to get you in the mood before then? Check out this fantastic behind-the-scenes visit with Andre the Black Nerd and the original TMNT voice cast! Another dimension is visited by the turtles, who meet their 1980s alternate-reality counterparts.